Virginia City is about an hour and a half drive from the North Shore of Lake Tahoe, but completely different from its mountain neighbor. The Western mining town of Virginia City became famous for its silver mines in the era of the Comstock, but it has not slowed down since then. This carefully preserved town is still rockin' the spirit of the Wild, Wild West with its fun bars, Victorian hotels, candy shops and the famous V&T railroad which chugs along the mountain ridge. The cemetery, museums and beautiful views make this a must stop location for visitors to the Tahoe area. 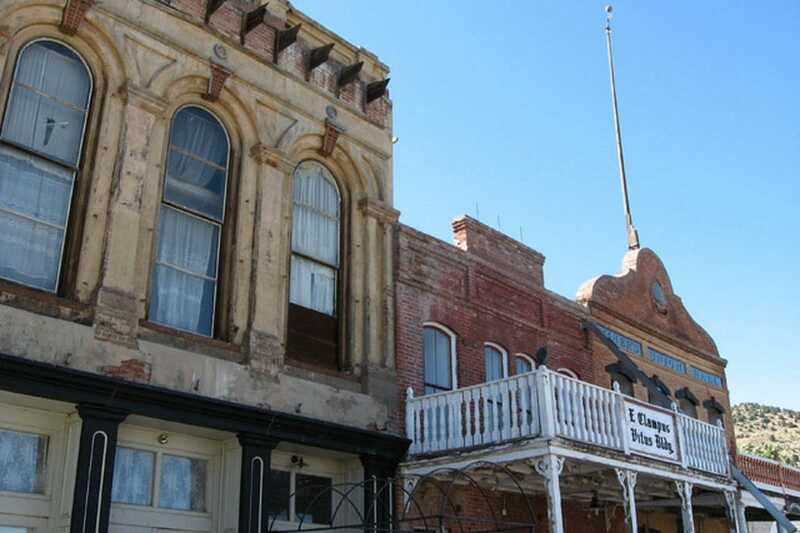 Most visitors to the Virginia City area come for the fun atmosphere. This 1800s mining town still has many of the buildings, churches, mines and the cemetery that made it a central town during the Comstock. Once visitors start walking around, they will find that VC has a wide range of museums, shops, a cool boardwalk and beautiful mountain views. One of the top attractions is the Virginia & Truckee Railroad, a steam train which has been restored and takes passengers from VC down through tunnels, mountain canyons and over ridges to Carson City. Another reason that visitors come to VC is to see ghosts. The town has become famous (again) for being one of the most haunted towns in the area. Several visits and videos by the Travel Channel's Ghost Adventures crew have attracted ghost hunters from all over the world to the Washoe Club and the Gold Hill Hotel. There are several restaurants in Virginia City. The Cafe del Rio serves up various versions of Mexican, Southwestern, Tex-Mex and Mexicali dishes. The Palace Restaurant and Saloon has been around since 1875 and still serves up some great burgers, fries and other Western-style food. However, probably the best place to eat in this Comstock town is the Crown Point Restaurant at the Gold Hill Hotel. This restaurant specializes in French, Italian and Cajun food during their dinner meals and casual food during their lunches. Their Sunday Brunch features various Eggs Benedict, salads, sandwiches, omelets and excellent coffee. Virginia City has been a hotbed for Harley riders. Many of them congregate up at the small town during the weekends and mix it up with the locals. One of the most fun bars is the Red Dog Saloon. Their weekend live music acts bring in people from the streets and feature the best the Blues and Classic Rock. The bar at the Gold Hill Hotel is also a popular place for a drink. The walls are covered with dollar bills and their wonderful fireplace is perfect for colder days. The Gold Hill Hotel is still on top of the list for one of the best places to stay in Virginia City. This historic (and some say haunted) building rests on the side of hill just south of VC and includes some great views, a bookstore, restaurant and bar and a small garden. If you want another classic Victorian place to stay, visit Edith Palmer's Country Inn where you can stay in one of three historic houses. Virginia City is a kitsch shopper's dream. Antique stores, fudge shops, jewelry stores and reproduction shops abound on C Street. Some of the best places to visit include the Barrels O' Candy shop for the kids and Mark Twain's Books for the adults.